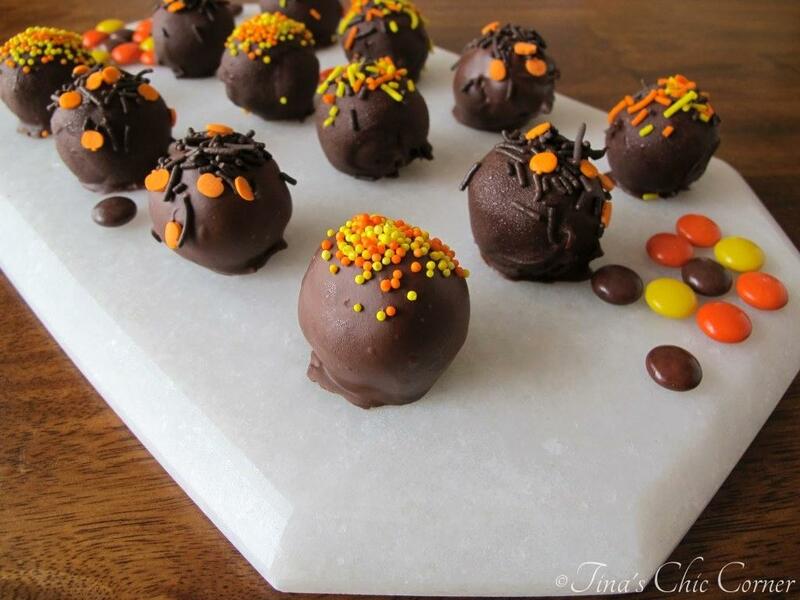 I couldn’t think of a better way to celebrate Halloween but with these festive truffles. They are a ball of Eggless Chocolate Chip Cookie Dough with Reese’s pieces wedged in all over and covered in chocolate. 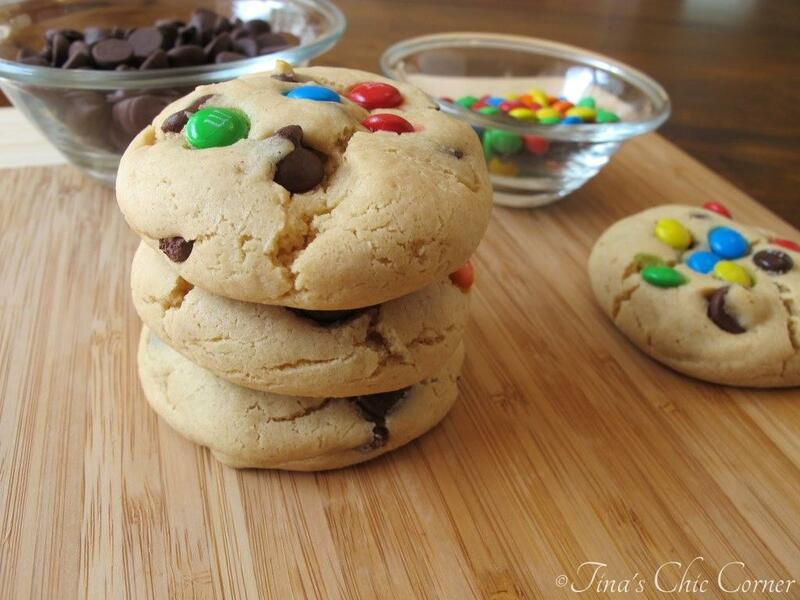 Gently stir in the mini chocolate chips and Reese’s pieces. Roll the mixture into balls shapes, about 1 tablespoon each. Chill the balls in the freezer for about 15 minutes to harden. 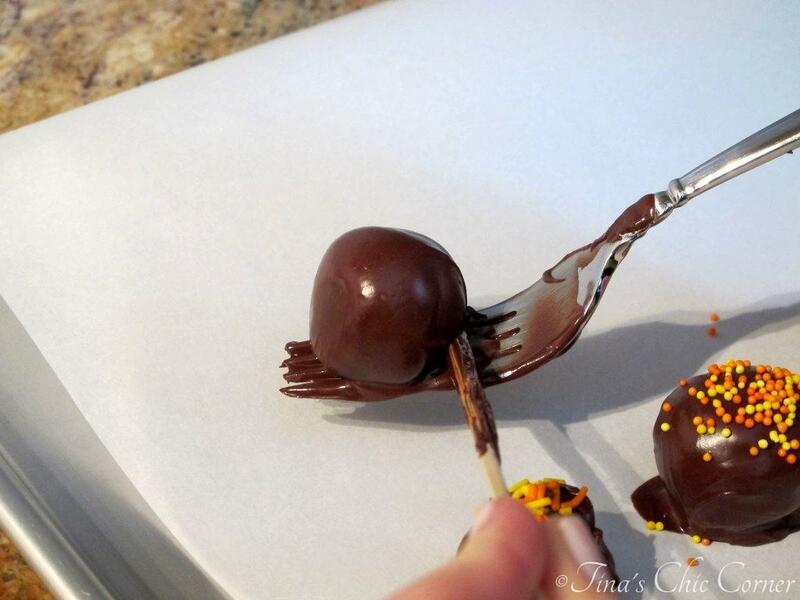 While the balls are chilling, melt the semi-sweet chocolate. 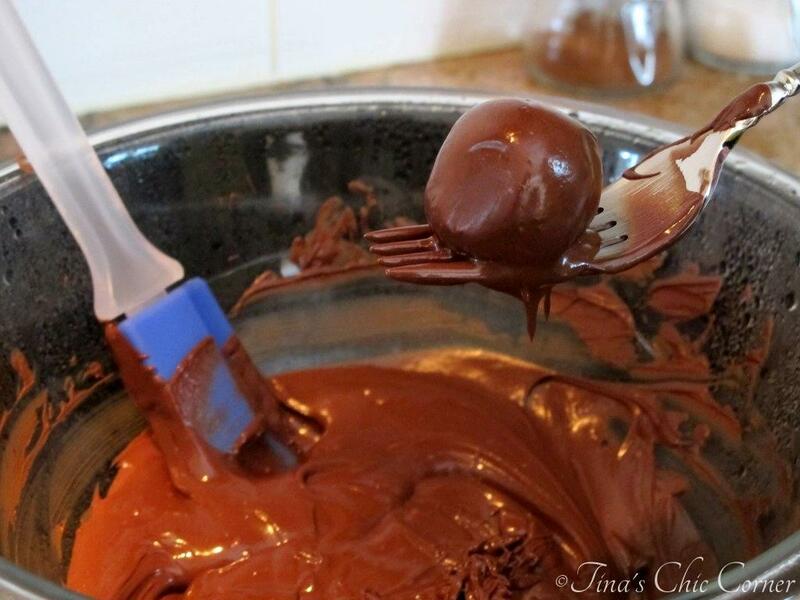 Place the chilled ball into the melted chocolate and cover completely. Place the truffle onto parchment paper. This was my first shot at making truffles. I thought they’d be difficult and frustrating to make, but it was really quite easy. First, you make the truffle filling. Today’s is of course the cookie dough. I was in a rush when I made these so I forgot to take pictures of the truffles without their fun chocolate coating so you’ll have to use a little imagination. Picture a ball of eggless chocolate chip cookie dough with Reese’s pieces. Are you with me so far? Once the balls have chilled, it’s time to dip them in yummy chocolate. The key here is to make sure that the chocolate is melted completely. If it’s not melted all the way you won’t be able to cover the balls smoothly and quite frankly it will look gross. For this one just imagine spreading frosting with something other than a spatula. (My husband piped up and said “Like spreading frosting with a pine cone?”) You’re going to get peaks and bumps and it won’t be pretty. Dunk the ball into the lake of melted chocolaty goodness. I used a fork to retrieve it. Tap the fork on the side of the bowl to allow the excess chocolate to seep through the spokes. Use a tooth pick to slide the truffle off the fork and onto the parchment paper. If you are covering the truffles with sprinkles or other goodies do so right away while the chocolate is warm or nothing will stick. How cute are these Halloween sprinkles!? I bought them a few weeks ago and I couldn’t wait to use them. 🙂 The chocolate sprinkles with the pumpkin shaped confetti is my favorite. The eggless cookie dough is sweet. It might have something to do with the fact that it has mini chocolate chips and Reese’s pieces in it. 😉 I used semi-sweet chocolate to coat these truffles so they wouldn’t be overly sweet. I never need an excuse to eat Reese’s pieces, but they are completely appropriate for these Halloween truffles because their colors match the festive theme. These truffles were a huge hit with my family! What’s not to love? Eggless chocolate chip cookie dough is awesome. Yes, no eggs, so you won’t get sick from eating it (unless you overeat it and I can’t be held responsible for that). 😉 My brother in law isn’t a fan of sweets (those people exist? ), but he adored these truffles anyway. They’re that good. I’m obsessed with truffles now that I’ve made these. The sky’s the limit to what I can create. Do you have a favorite truffle? Here are some other awesome peanut butter and chocolate treats. 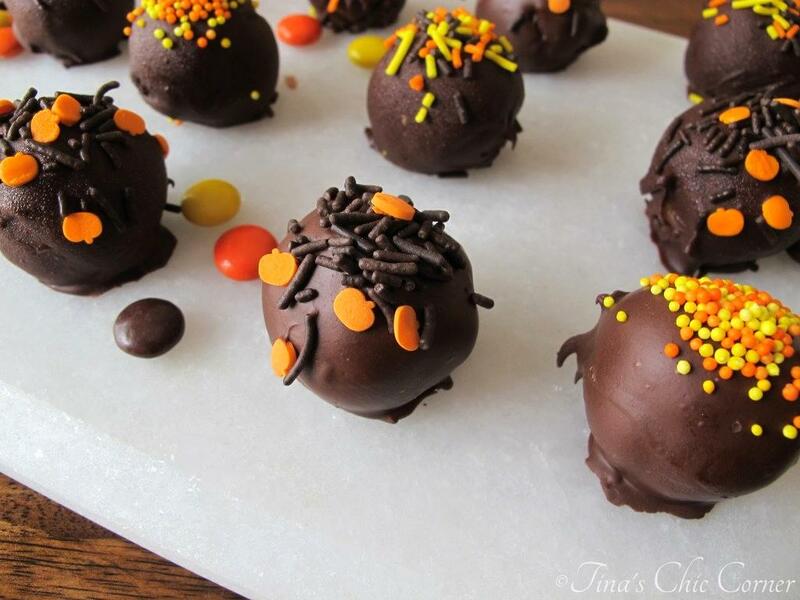 I’m in love with cookie dough truffles! They’re really fun to make, too. Love the peanut butter chocolate combo with that candy crunch! i could pop the whole batch in my mouth and chow down on these yummies!!! Chocolate sure does rule!!! As do these truffles. WOW! They look amazing!! Your Halloween sprinkles are too cute. Aw, these look adorable! And those pumpkin shaped sprinkles have to be the cutest thing ever!! Chocolate covered cookie dough that I can eat without getting sick?? I’m in!! These truffles are beautiful! Reese’s Pieces are my favorite candy, so I would be unable to stop eating these. Thanks Laura! I almost didn’t have enough Reese’s pieces for the truffles because I kept eating them while I was melting the chocolate. Lol. These are heavenly. One of my favorite creations yet. 🙂 Have a lovely weekend! 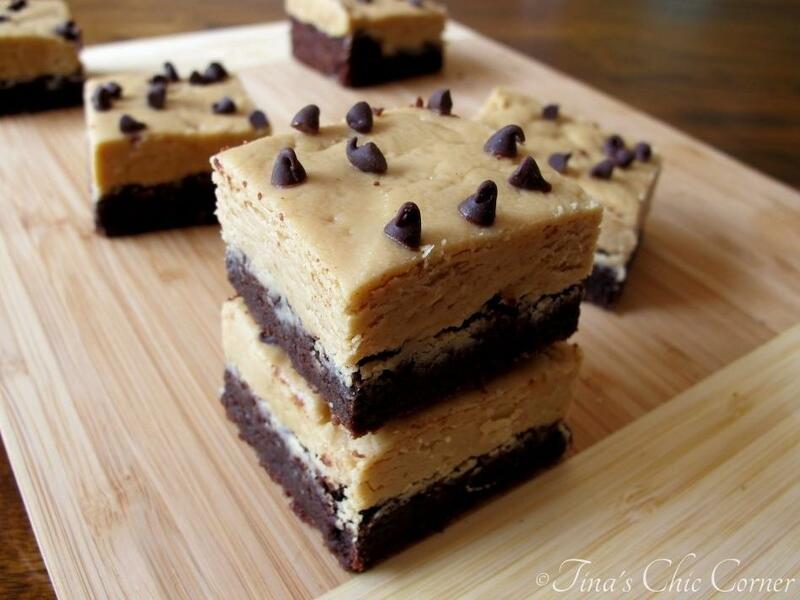 Chocolate, peanut butter, and cookie dough all in one treat? Count me in! So cute for Halloween too! 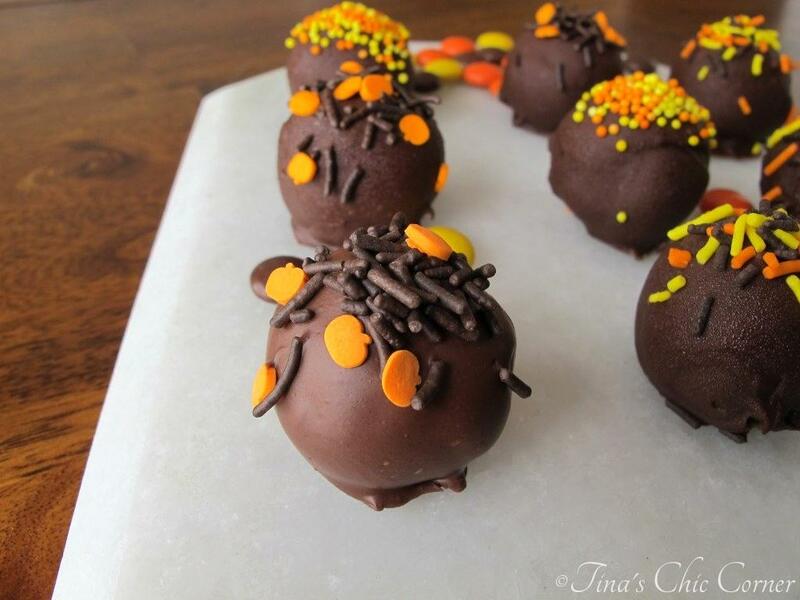 Tina, if this was your first time doing these…you are a perfect Truffle Maker! These are not only pretty but they look divine! Enjoy your weekend coming around the corner…and happy Friday! You always make me smile with your lovely compliments. 🙂 Thanks so much. You too have a beautiful weekend! LOVE LOVE LOVE truffles and cookie dough ones at that! Love that there are orange and yellow colors on the inside and outside!! I want these! These are adorable and so festive Tina! Love the combination of cookie dough and Reese’s Pieces. YUM! These are such cute truffles! Love how you decorated them with the Halloween sprinkles! Oh my goodness. My kids would gobble these up as fast as I can make them. They look real good! 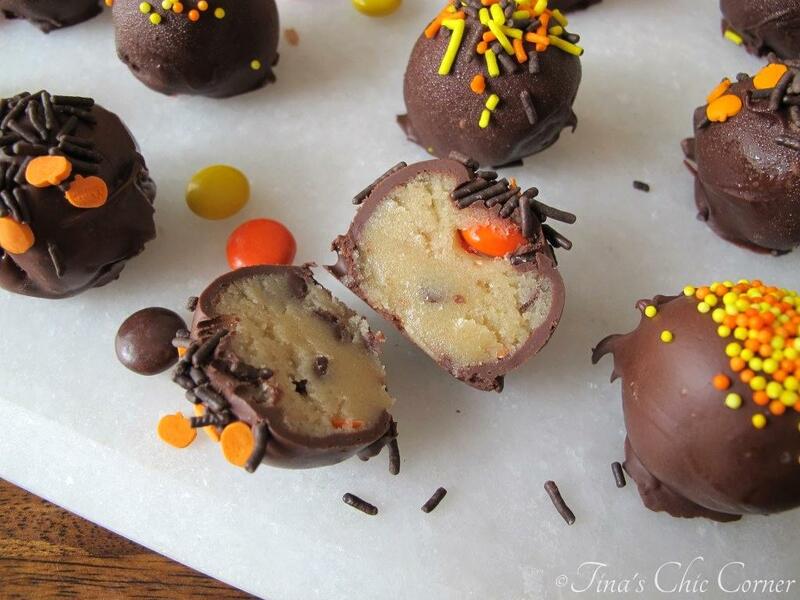 Oh man, I loveeee cookie dough truffles! These came out so cute and festive! And I want those sprinkles! Hope you had a great weekend!! These sound so good. I am definitely pinning!! 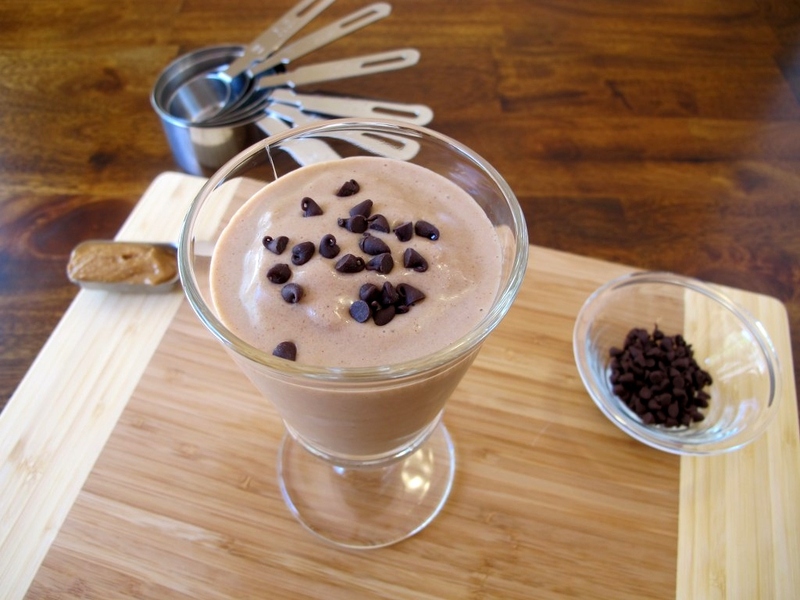 Yes – chocolate rules!! And I’m so thankful for that! 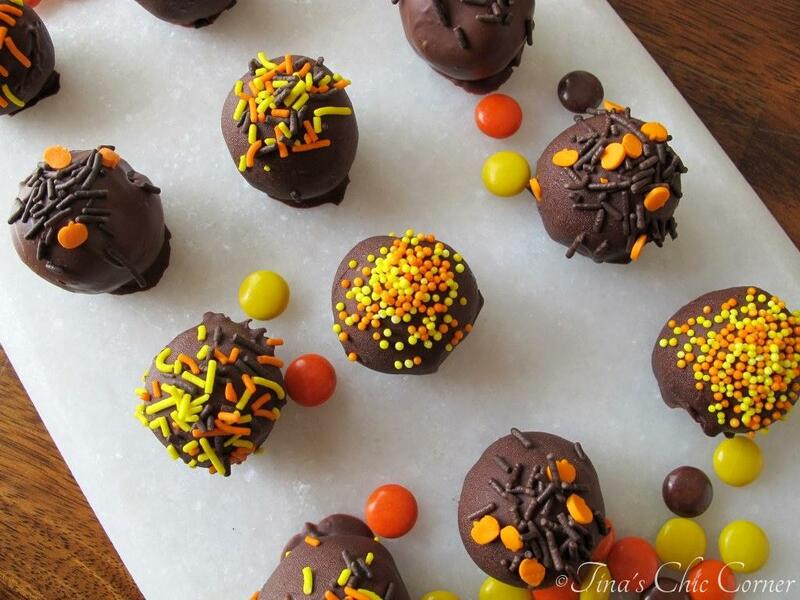 Love your very festive Halloween truffles. That’s my kind of Halloween treat. I’m kind of obsessed with Reese’s year-round, so these truffles need to happen soon! Thanks! Sat Show Stopper is a great meeting place. 🙂 Glad you stopped by! Your truffles look beautiful! They sound so good, and would make for great little fall or Halloween treats packaged up in little bags! Girl. You are speaking my language. Seriously!!! These are amazing!!! Eggless cookie dough is like a miracle food or something already. But with chocolate and Reese’s Pieces? WOW. Thanks for sharing!!!! Ok, seriously so impressed for it being your first shot at truffles! They look amazing, and I love reeses pieces! Totally going to have to try these for the holidays! Pinning, thanks Tina! Yummy! What a sweet surprise having cookie dough in the middle of them! I need these truffles, like asap. They look so amazing, I’m drooling! Thanks so much for sharing this recipe on Saturday Night Fever! Pinning now…See you this Saturday!